Linux is an open-source software, Linux dedicated server is the right choice for the business looking for reliable and robust dedicated servers at the affordable prices. Linux dedicated servers are the fully-managed hosting services helps in improving improve your business performance, boosts increasing server requirements and supports numerous databases like PostgreSQL, SQL, and MySQL. An autoresponder is a script that will automatically reply to emails sent to the selected email address. It can be used for away messages, email confirmations, or for many other functions. 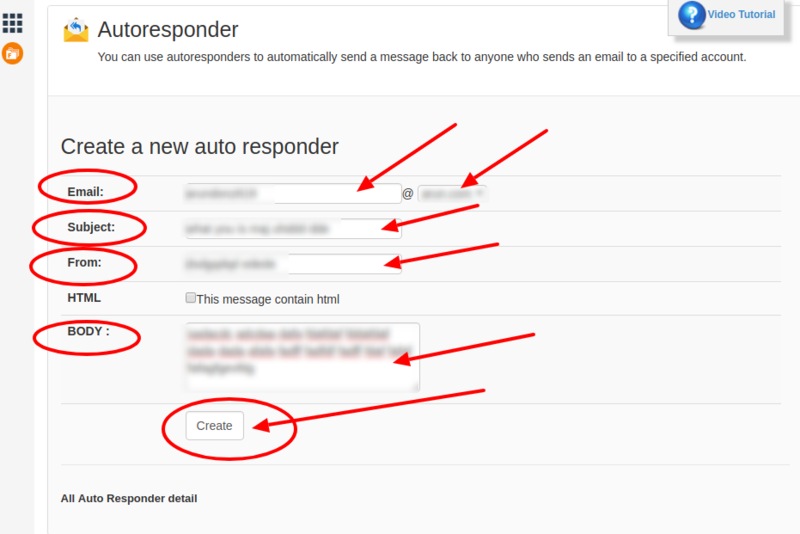 Autoresponders will be configured on a mail server with the help of email clients. Once you configure on a mail server, the server will automatically send response emails when the autoresponder is active. Server-based autoresponders are usually configured using a webmail interface. Step-3: In Autoresponder page fill all the required details like email, subject, from, body and click on create button. HostingRaja Linux Dedicated Server plans are very easy and affordable to everyone. Linux Dedicated server hosting provides you with a separate server dedicated only to your website. With HostingRaja Linux dedicated server you will be offered with numerous of benefits such as reliability, excellent performance, world-class security and much more of benefits. Hosting Raja fully managed Linux Dedicated server offer your website with the highest level of speed, top level security, higher performance and 99.99% guaranteed uptime. HostingRaja Linux Dedicated servers are designed in such a way that our clients will not face any difficulty with the servers. If you need any information about our Linux Dedicated server you can contact our toll-free number 1800-258-8000.